From the left: J.D. Smith, 11, Mairi Beranek, 12, Megan Meeker, 11 and Hannah Davis, 11 illustrate their favorite Harry Potter moments and place them into a pensieve to later be posted on the library's facebook page. 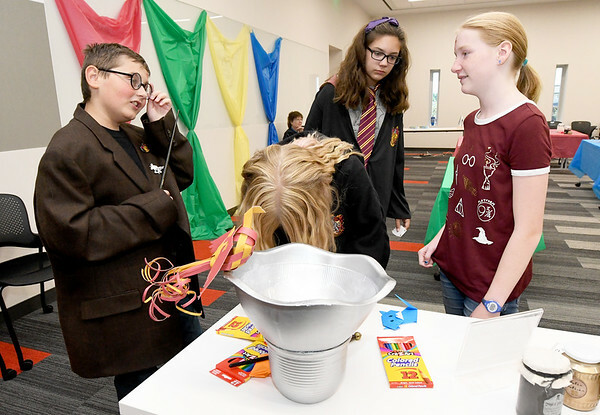 The station, named "Dumbledorf's Pensieve" was one of several on Saturday at the Joplin Public Library as part of the 20th Anniversary of the popular series of books and movies.